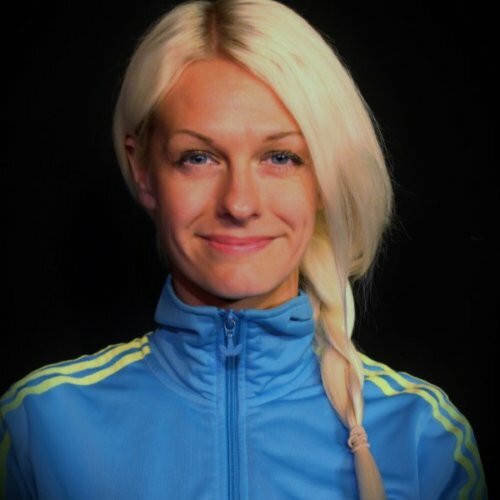 Victoria Bang is one of the Swedens most hired improvisers abroad. She regularly performs and teaches at various improvisation festivals and theatres around the world. When she´s not working with Gbgimpro as a producer and teacher, she also works with her duo partner Glenn Hall (Hall and the Bang). Victoria has worked as an actor from the beginning of her career for many years, before she decided to work only with impro. Commit, Care and Dare are the lead words in her improv philosophy. This workshop is for advanced improvisers who want to explore their character work from the inside, and find new ways into be and discover characters where we start in your mindset. We will work with a method of how you detect and see the world and how that effect your characters body, reactions and behaviour. This is an excellent method for you who play longform, and want to challenge your mind, or feel that you got stuck in the same kind of character playing. You have a beautiful mind. Let's use it! Have you ever said to your self that you´re not a "good improviser"? Do you feel that you hesitate in your choices because someone's "probably have a better idea"? Do you wish you would worry less and just play more and have fun? You are not alone! In this workshop we will challenge those brain ghosts and encourage you to commit to whatever comes to you! We'll focus on exercises where we play a lot, instilling in you the confidence to make new and different choices with your body and mind, to break the bad thoughts and just have fun! This process open new doors for you as an improviser, by giving you the courage to play with the 'mistakes' that come up and use them to your advantage, so that all your choices are enough! The more you play and worry less - the more fun you will have! We have all experienced those “You Had To Be There!” moments. The unforgettable moments where we hold our breath with wonder, sigh with deep satisfaction or laugh out way too loudly. Those magical moments we try to recreate for our friends the next day, with all our brave attempts ending in, “You had to be there!" But what are the elements of these wonderful scenes? Why are some scenes so memorable? In this workshop, Victoria will guide you to play simple, structured scenes, with focus on different ways to build platforms and to find out what the scene really is about. We will study the patterns that appear and you will be coached in theatrical elements such as spacework and proximity, silence and stillness, and dynamic choices. By the end of this workshop, Victoria will have you telling people “You Had To Be There!"